My concerns for Amble Dovecote Community Centre have still not been addressed, (Northumberland Gazette, August 29). Investing money in adult educational skills in Amble, or anywhere else, can only improve the employability of young adults and for those having to retrain. Coun Robert Arkless, at the recent Amble Town Council meeting, was unable to produce the actual costings of the centre, which is leased from the Church. As he is a lay preacher with the church is this not a conflict of interest? 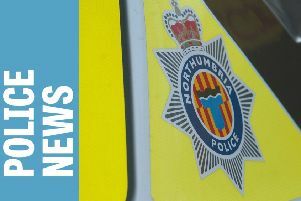 He also stated that the officer in charge of adult education in Northumberland has now left his employment and moved on. As large amounts of money have been found for another local community centre, why can’t the money be more equally shared so that the Dovecote Centre can continue to offer essential courses locally?